A robotic lander and rover lifted off Friday (U.S. time) from China’s Xichang space center, kicking off a journey through space that will culminate in an attempt in early January to touch down on the far side of the moon for the first time. The Chang’e 4 mission — the fourth in China’s main line of lunar explorers — lifted off at around 1823 GMT (1:23 p.m. EST) Friday from Xichang, an inland spaceport nestled between hills in southwestern China’s Sichuan province. 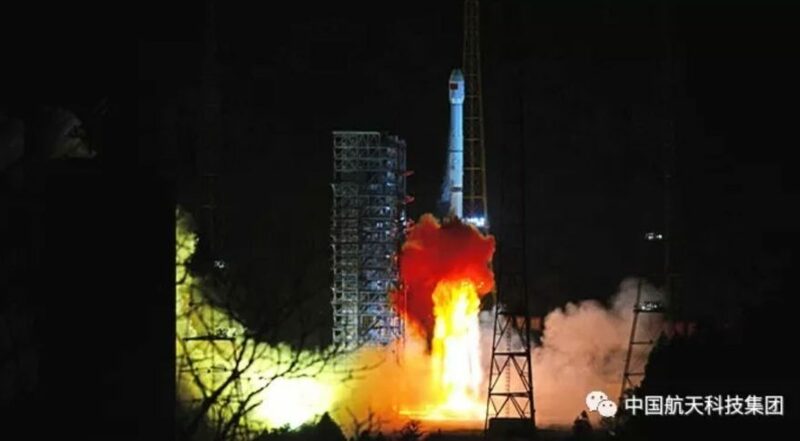 Chinese state television did not broadcast the launch live, as it did for China’s previous lunar mission launch in 2013, but spectators near Xichang streamed live video of the middle-of-the-night blastoff online without commentary. The video showed the Long March 3B disappearing into the night sky a few minutes after an apparently smooth liftoff from Xichang. The three-stage Long March 3B rocket was programmed to inject the Chang’e 4 spacecraft on a trajectory toward the moon less than a half-hour after liftoff. Chang’e 4 is expected to enter lunar orbit later this month, then use braking rockets to descend to the moon’s surface, targeting a landing in Von Karman crater in moon’s South Pole-Aitken basin region in early January. The rover ceased driving a few weeks after landing, but some of the craft’s instruments continued to function for a couple of year, and the stationary lander — a carrier module that delivered the rover to the lunar surface — was still operating in an update issued earlier this year. 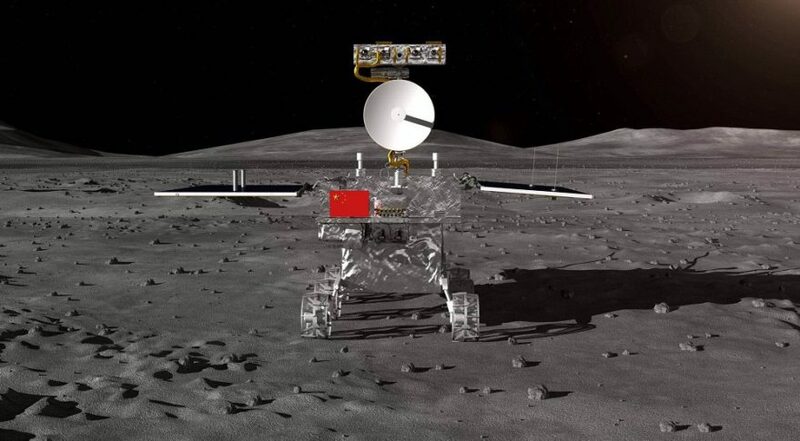 The Chang’e 3 rover, named Yutu and designed to drive up to 6 miles (10 kilometers), traveled around 374 feet (114 meters) before losing its mobility, according to Chinese scientists. Liftoff of the Long March 3B launch vehicle carrying Chang’e-4 occurred at 1:23 p.m. Eastern time Dec. 7 (02:23 a.m. local time Dec. at the Xichang Satellite Launch Center in southwest China. 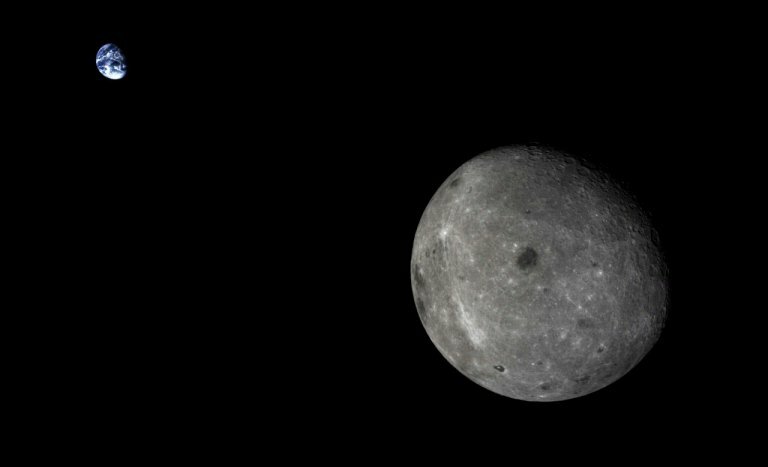 With its Chang’e-4 spacecraft now orbiting the moon in preparation for the first-ever landing on the far side of Earth’s nearest neighbor, China is poised to reap the prestige and scientific payoffs that are part and parcel of achieving a space first. 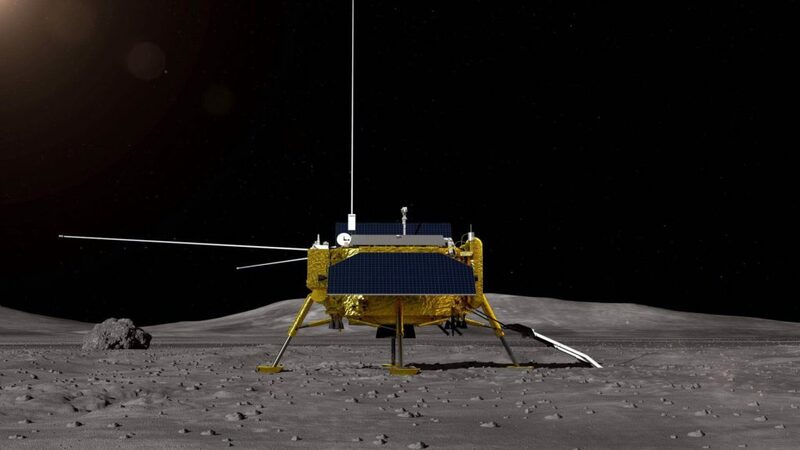 Despite being a repurposed backup to the 2013 Chang’e-3 landing, Chang’e-4’s planned January touch down on the far side of the moon will also be a steppingstone to further and more ambitious robotic lunar exploration missions. “Chang’e-4 will validate further technologies of landing, enhanced rover operations and more complex far side communications. It also uses more powerful instruments,” Bernard Foing, director of the European Space Agency’s International Lunar Exploration Working Group, told SpaceNews. Communications between Chang’e-4 on the far side (which never faces the Earth) and Chinese tracking stations will be facilitated by Queqiao (‘Magpie Bridge’), a relay satellite with a 4.2-meter-diameter parabolic antenna that China launched in May to orbit around the second Earth-moon Lagrange point beyond the moon. Chang’e-4 uses new hazard-avoidance algorithms, a more vertical descent and smaller landing footprint than its predecessor mission to handle the more variable and rugged topography of the lunar far side, which features few of the smooth, flat maria of the near side. This is “absolutely a significant step,” James Head, a planetary scientist at Brown University in Providence, Rhode Island, told SpaceNews. “Gaining confidence in far side landings opens ‘the other continent’ for full exploration and sample return, and to a treasure trove of scientific targets and fundamental scientific results. Chang’e-4 is a total game-changer in terms of gaining access to ‘Luna Incognita’ and is akin to Columbus’ voyages to the New World,” according to Head. 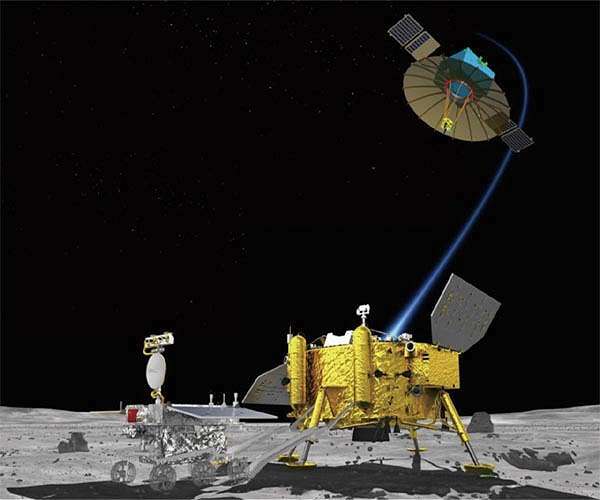 A more precise landing in a challenging landscape will also be useful for missions to the lunar south pole, which China is now formulating to extend the Chang’e robotic lunar program and establish what is described as a lunar research base with three or four missions across the 2020s. One of the key goals of Chang’e-7, which would launch around 2021, will be to detect water ice and determine its origin in permanently shadowed areas, according to a paper from authors including Zou Yongliao, a senior lunar scientist with the National Space Science Center under the Chinese Academy of Sciences, presented at the International Symposium on Lunar and Planetary Science 2018 in Macau, China, in June. Further missions will include in-situ resource utilization and technology verification tests. Before this, China plans to follow up Chang’e-4 with the Chang’e-5 near side sample return mission, possibly in late 2019, once the Long March 5 — which suffered a high-profile failure in July 2017 — has at least one successful flight. This will be a notable step-up in capability from the Chang’e-4 mission says John Horack, the Neil Armstrong Chair in Aerospace Policy at Ohio State University. “The complexity of Chang’e-5 will require mastery of capabilities such as lunar orbit rendezvous, robotic sample collection, automated spacecraft docking, launching from the moon using a vehicle that has itself soft-landed on the moon, higher temperature re-entry systems for deceleration at Earth, and more. These are all capabilities that could fortify larger space exploration systems in the future, or even eventual human exploration of the moon by China,” Horack told SpaceNews. Though there is no official government-approved Chinese human lunar exploration program, institutes under the China Aerospace Science and Technology Corporation, the main contractor for the Chinese space program, are working on capabilities required to put astronauts on the lunar surface. 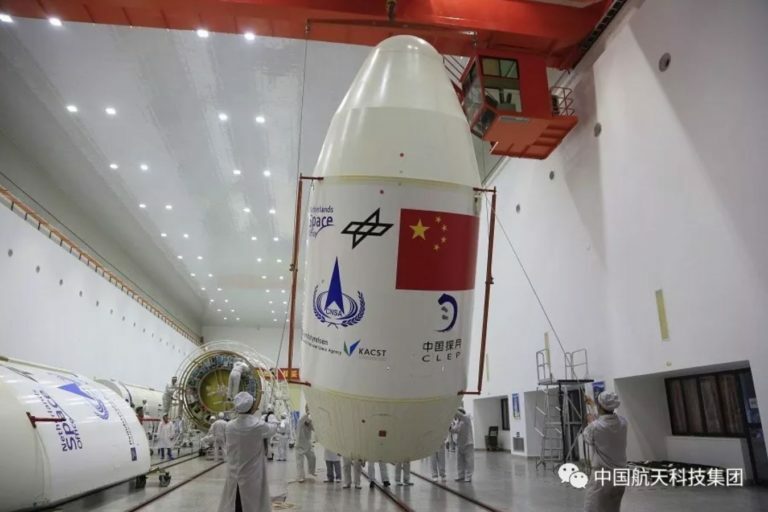 The China Academy of Space Technology has made progress on a next-generation crewed spacecraft, one variant of which will be up to 20 metric tons and have an uncrewed test flight on a test launch of the Long March 5B launch vehicle in 2019 or 2020. The craft is designed to take up to six astronauts to deep space and the moon, while the current 8-ton Shenzhou can take three to low Earth orbit. In October, the China Academy of Launch Vehicle Technology unveiled a model of a conceptual design for a human-rated launch vehicle at the 12th China International Aviation and Aerospace Exhibition in Zhuhai, southern China. The design uses clusters of already-developed YF-100K kerosene- and liquid-oxygen engines and 5-meter-diameter cores like those of the Long March 5, making its development, if approved, much faster, potentially providing China with the launch capabilities to carry out human lunar exploration of the moon much sooner than previously expected. A previous mission concept for putting Chinese astronauts on the lunar surface required the Long March 9, a super-heavylift launcher with a 10-meter diameter that China aims to fly in 2028. This profile also includes the lofting of the crew via a Long March 5B and an Earth-orbit rendezvous. There is however a long road to travel before these plans and concepts can be realized and sustained. “China is a large and very complicated place, with significant challenges related to infrastructure, growth, environmental degradation, poverty and more,” Horack notes. “Successful execution of space exploration missions are indeed testament to their substantive technical capability, and to their exceptional growth as a nation. But sustainability in space is a function of much more than only whether one can execute missions. “We have seen this play out in earlier situations. The Apollo program’s unparalleled and extensive capability in sending human beings to the moon, derived at great cost, was not itself sufficient to sustain the activity and has not been replicated now for 50 years,” Horack cautions. 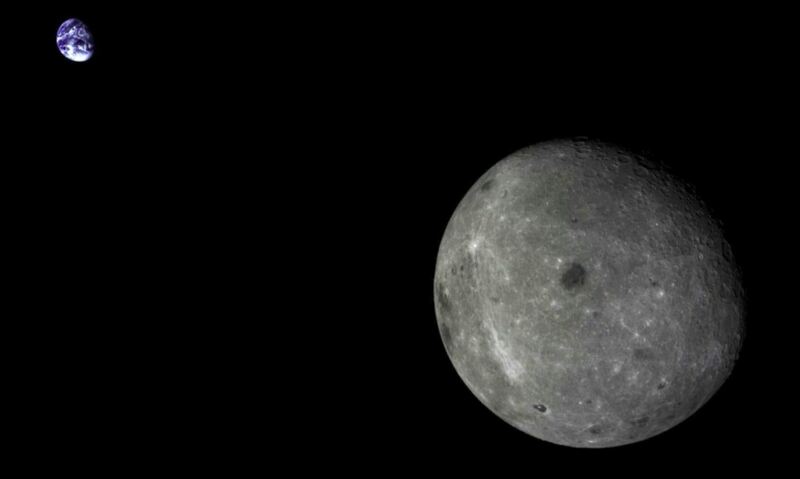 For now, though, China is demonstrating momentum in lunar exploration. “It is impressive to see how the comprehensive plan they have prepared has been implemented step by step with reliable expertise and schedule,” says Foing, who collaborated with Chinese colleagues from the start of the Chang’e program and prepared the initial collaboration agreement between ESA and CNSA. A successful landing for Chang’e-4 could mark another big step on a path of lunar exploration that China has laid out and is keen to advance along. HELSINKI, Finland — China’s Chang’e-4 spacecraft made the historic first ever soft-landing on the far side of the moon Jan. 2 in a mission aims to reveal clues to the history of the solar system. 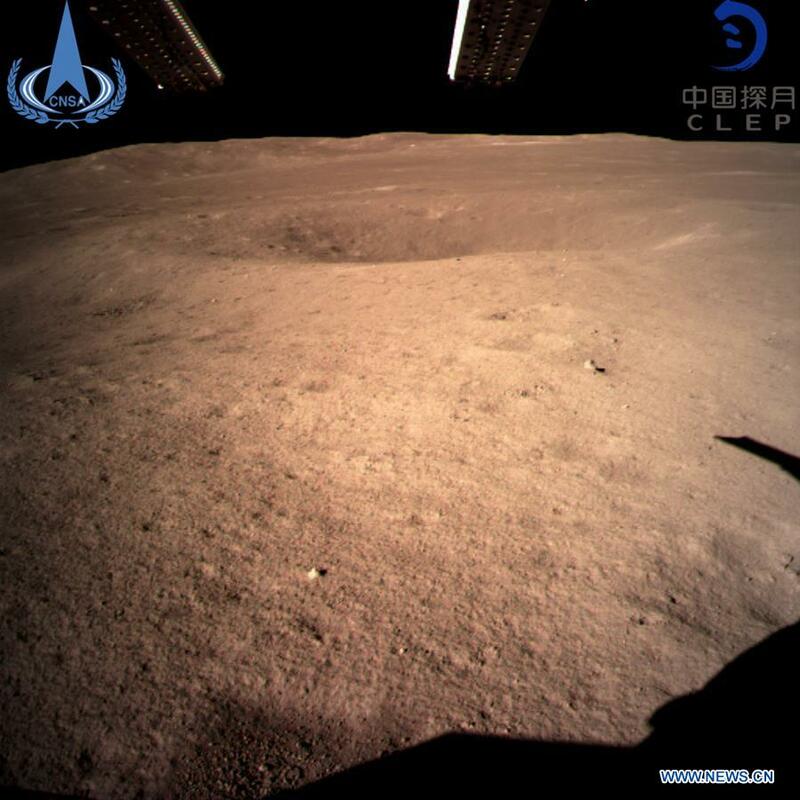 The 1,200-kilogram dry mass Chang’e-4 lander touched down within Von Kármán crater at 9:26 p.m. Eastern, according to a Chinese state media announcement 90 minutes later. The spacecraft began its descent from a perilune of 15 kilometers with a burn of its single main variable thruster at before entering approach, hazard avoidance and slow descent phases and a soft landing. The lander and the companion 140-kilogram rover, which is expected tp be deployed within the coming hours, will work toward science goals including analyzing the lunar surface and subsurface composition, assessing the radiation environment and its interaction with the regolith and low frequency radio astronomy, as well as returning high-resolution images from terrain and panoramic cameras. Chang’e-4 launched Dec. 8 and had been in lunar orbit since Dec. 12, where it tested communications and refined its orbit in preparation for a landing timed to follow sunrise over the target site, allowing the mainly solar-powered craft to begin operations immediately. The 186-kilometer-diameter Von Kármán crater containing the landing site is situated within the 2,500-kilometerwide South Pole-Aitken (SPA) basin, which is one of the oldest and largest impact craters in the solar system. The basin could contain exposed material from the moon’s upper mantle and promises clues to the history and development of the solar system. A sample return from the SPA basin has been noted as a priority in past U.S. Planetary Science Decadal Surveys. Chang’e-4 is the repurposed backup spacecraft to the Chang’e-3 mission, which landed on Mare Imbrium on the near side in December 2013, making China only the third country to soft-land on the moon. While the Chang’e-3 rover, on which the Chang’e-4 is based, traveled just 114 meters before being rendered immobile on Mare Imbrium in early 2014, officials with the China Academy of Space Technology (CAST), the spacecraft’s manufacturer, have stated that the issue has been identified and addressed and that the new rover has been upgraded for greater reliability and longevity. The landing comes ahead a wave of renewed interest in lunar exploration, with NASA, ESA, Russia, India and private companies working on a range of missions. The China Aerospace Science and Technology Corporation (CASC) also announced Wednesday that it plans to launch the Chang’e-5 near side sample return mission with the second of two planned Long March 5 heavy-lift rocket launches in 2019. Targeting the far side of the moon, which due to tidal locking never faces the earth, required the prior launch of a relay satellite to the second Earth-moon Lagrange point some 65,000-85,000 kilometers beyond the moon to facilitate communications. Named Queqiao (‘Magpie bridge’ from Chinese mythology), the satellite has been in a halo orbit around this gravitationally stable libration point since June, from which has constant line-of-sight with both the terrestrial tracking stations—situated in China, Namibia and Argentina—and the lunar far side. Apollo 17 Crew member and geologist Harrison Schmitt had recommended the final mission of NASA crewed landing program target the Tsiolkovskiy crater on the far side using a relay satellite, but the suggestion was rejected on grounds of risk and cost. The more rugged and variable lunar far side typography and near absence of dark, basaltic plains or maria, demanded upgrades to the Chang’e-4 guidance, navigation and control systems, a much smaller landing footprint and more vertical and accurate powered descent than the predecessor mission. The landing will also assist in the execution of the country’s future lunar exploration plans. “This will give valuable information on the composition of the far side crust and, conceivably, the upper mantle…The radio astronomy experiments are also of great interest, which may lay a foundation for the development of lunar far side radio astronomy,” Crawford said. “Its main purpose, however, is to prepare for human exploration of the moon by measuring the radiation to which astronauts will be exposed,” says Wimmer-Schweingruber, and specifically the neutron dose rate on the surface of the moon. LND is one of four international payloads involved in the Chang’e-4 mission, along with the Advanced Small Analyzer for Neutrals (ASAN) from Sweden aboard the rover, the Netherlands-China Low-Frequency Explorer (NCLE) on Queqiao and a small camera on the Longjiang-2 microsatellite. James Head, a planetary scientist at Brown University in Providence, Rhode Island, told SpaceNews in December that the Lunar Penetrating Radar (LPR), an instrument also aboard the Chang’e-3 rover, will provide images of the structure of the lunar soil layers and any subsurface lava flow units. The Visible and Near-Infrared Imaging Spectrometer (VNIS), likewise installed on the mobile rover, will allow analysis of the mineralogy of the floor of Von Kármán crater and ejecta delivered by later, nearby impacts, according to Head. The Low Frequency Spectrometer (LFS) payload on the Chang’e-4 lander will make astronomical observations in low frequency bands in a unique radio-quiet environment free of interference from the earth. Another payload included in the mission through an outreach initiative is a small biosphere containing Arabidopsis and potato seeds along with silkworm cocoons, designed and developed in collaboration with 28 Chinese universities. The experiment will be a pioneering test of photosynthesis and respiration in the one-sixth Earth gravity lunar environment, with a possible live steam to the 3-kilogram, 0.8-liter capacity cannister. Anna-Lisa Paul, space biologist and research professor at University of Florida-Gainesville, told SpaceNews that the experiment will be unique, despite awealth of experiments that have grown plants and invertebrates in habitats on the Space Shuttle, the International Space Station, MIR, Skylab and others. Po raz pierwszy w historii na Księżycu wykiełkowało nasiono. Trafiło tam ono we wnętrzu chińskiego lądownika Chang’e 4, który na początku roku osiadł po niewidocznej stronie Srebrnego Globu. Uprawa roślin w trudnych księżycowych warunkach to jeden z głównych eksperymentów tej misji. Osiągnięcie naukowców z Uniwersytetu Chongqing w niedalekiej przyszłości może przyczynić się do opracowania rozwiązań, które umożliwią załogowe loty na Księżyc, Marsa i inne odległe obiekty w przestrzeni kosmicznej. Po miękkim lądowaniu statku Chang’e 4 w kraterze Von Kármána rozpoczęto pionierski eksperyment z udziałem mini biosfery opracowany przez zespół profesora Xie Gengxina z Uniwersytetu Chongqing. Składała się ona z nasion bawełny, rzepaku, ziemniaków i rzodkiewnika, a także jajeczek muszek owocówek i drożdży. Docelowo owady żerujące na roślinach wyprodukowałyby dwutlenek węgla potrzebny do rozwoju flory. Dlaczego wybrano akurat te gatunki roślin? Profesor Gengxin tłumaczy, że ziemniaki mogą być ważnym źródłem pożywienia dla kosmicznych podróżników. Nie bez powodu nazywane są też super jedzeniem, a Matt Damon przeżył na nich kilkaset dni podczas swojej kinowej marsjańskiej misji. Drożdże mogą za to pełnić funkcję regulatora obiegu dwutlenku węgla i tlenu. Rzodkiewnik wybrano ze względu na szybki i łatwo obserwowalny rozwój, podobnie jak bawełnę. Ten prymitywny ekosystem został zamknięty w ważącym 2,6 kg walcowatym pojemniku wykonanym ze specjalnego stopu aluminium. Mierzy on niewiele, bo ledwo 198 mm wysokości, o średnicy 173 mm. Zaopatrzony został on w wodę, powietrze i odpowiednią glebę. Nasiona ogrzewało naturalne światło dostarczone spoza pojemnika. W środku umieszczono oczywiście jeszcze dwie kamery, które pozwalały obserwować rozwój roślin oraz regulator temperatury. Na nadesłanych zdjęciach z lądownika widzimy, że wykiełkowało jedynie jedno z nasion i już rozwinęło pierwszą łodyżkę (zobacz zdjęcie z początku artykułu). Niestety reszta nie miała takiego szczęścia i już nie będzie miała. W ostatnią niedzielę, 15 stycznia, lądownik Chang’e 4 wszedł w stan uśpienia, aby przetrwać rozpoczynającą się noc księżycową. Trwający wtedy mrok i ekstremalnie niskie temperatury, spadające nawet do – 170 stopni Celsjusza, nie sprzyjają rozwoju jakiejkolwiek biosfery. Życie w pojemniku nie przetrwa księżycowej nocy – stwierdził bez owijania w bawełnę, gra słów niezamierzona, profesor Xie Gengxin. Tym samym eksperyment z biosferą zakończył się i chociaż nie udało się rozwinąć go w pełni, to nawet ta jedna mała roślina jest ogromnym sukcesem. Przez najbliższe dwa tygodnie cała zawartość pojemnika stopniowo obumrze i w żaden sposób nie zanieczyści księżycowej powierzchni. Pierwsza księżycowa roślina to kolejne znaczące osiągnięcie dokonane w ramach misji Chang’e 4, która wydaje się być jednym z kamieni milowych w długotrwałym procesie powrotu ludzi na Księżyc. Nie jest to pierwsza próba wyhodowania flory poza Ziemią, podobne eksperymenty przeprowadzano na wielu stacjach na orbicie, a szczególnie na Międzynarodowej Stacji Kosmicznej. Uprawiano tam m.in. różne rodzaje sałaty, kapusty i roślinę ozdobną cynia. Umiejętność hodowania roślin na statkach kosmicznych czy pozaziemskich bazach jest kluczowa, jeśli chcemy myśleć o jakiejkolwiek dłuższej i dalszej eksploracji i kolonizacji naszego Układu Słonecznego. Ludzie muszą coś jeść, a poza tym rośliny oczyszczają powietrze z dwutlenku węgla i produkują tlen. Wyhodowanie ich na Księżycu jest o wiele trudniejsze niż na stacjach kosmicznych ze względu warunki, takie jak wysoka amplituda temperatur, promieniowanie i mroczne noce. Na wieść o kolejnym sukcesie wiceprezydent Chińskiej Administracji Kosmicznej Wu Yanhua ogłosił plany rozszerzenie programu eksploracji Księżyca Chang’e o następne trzy misje. Zebrana podczas nich wiedza, opracowane i sprawdzone rozwiązania w przyszłości miałyby umożliwić budowę międzynarodowej załogowej bazy na powierzchni.